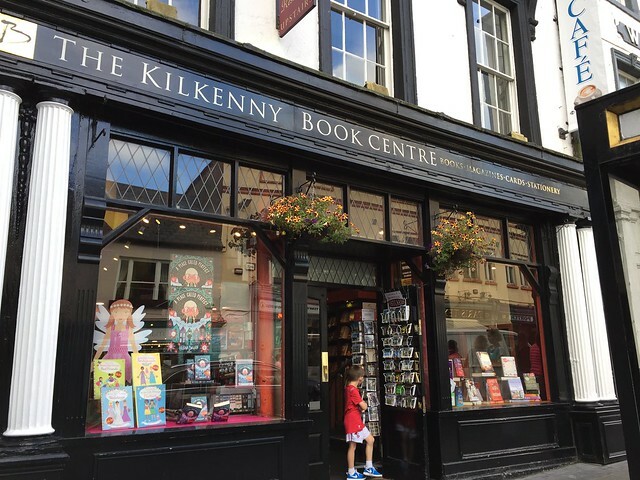 Kilkenny was a delightful surprise for us. 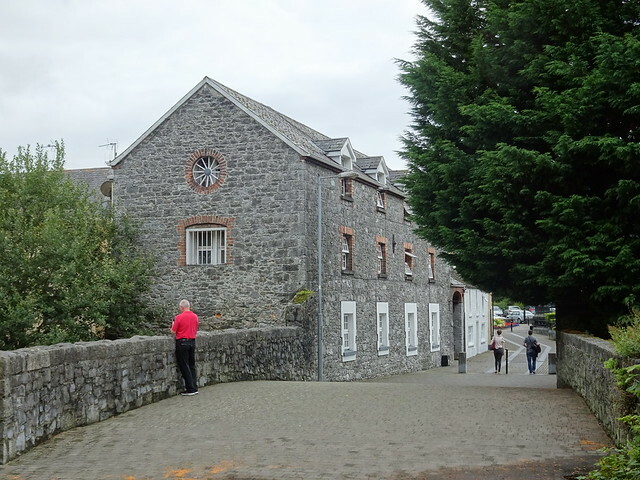 It is very walkable and we enjoyed staying not far from the castle at a hotel that used to be a carriage house and stable yard for the castle. A tour of the castle gave us a glimpse into the lives of those who lived there through several generations. 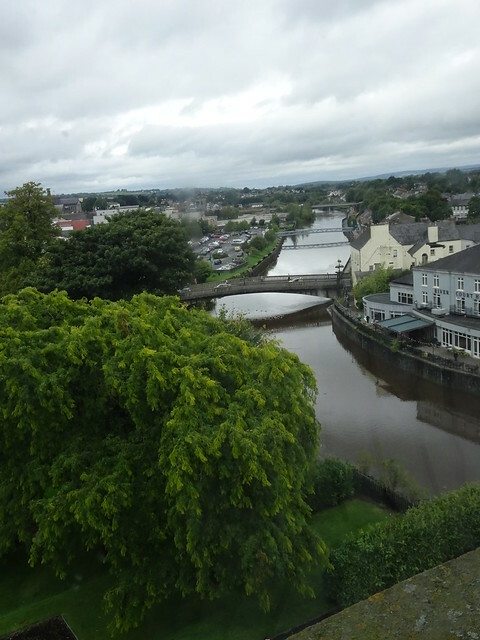 It is interesting to note that Kilkenny was granted the status of city by James I. Conflict in Ireland between the Protestants and Catholics began long ago. The Irish Catholic Confederation (also know as the Confederation of Kilkenny as the government was based there) pledged allegiance to Charles I. Cromwell put an end to that. James II of England spent a few months in this castle. The Irish Catholics took his side against William of Orange. 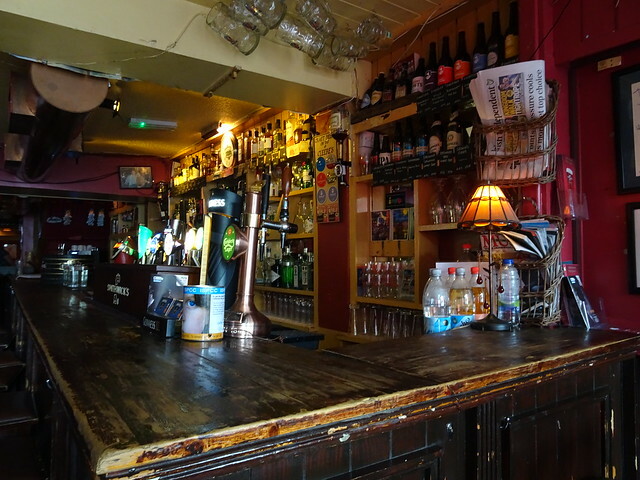 Kilkenny is located on the River Nore. 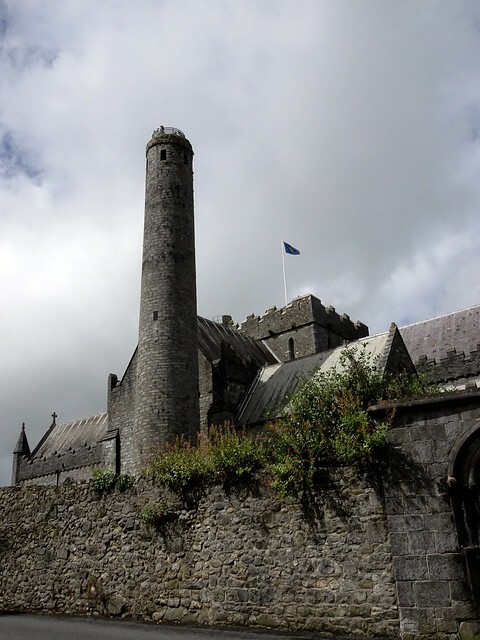 A religious site was founded in the 6th century, where St. Canice's Cathedral stands today. A monastic centre grew and the round tower was constructed in the 9th century. The area around the cathedral came to be known as Irishtown. "Following the English Reformation, the reformed church in Ireland was established by decree of the Irish Parliament to become the state church in the Kingdom of Ireland..."
Although a number of the large cathedrals in Ireland are Church of Ireland (Anglican), the majority of the Irish are Catholic and after the churches were turned over to Protestantism, they built newer churches in which they could worship as Catholics. For some years Kilkenny was two towns, the one inside the walls was Hightown and the one outside the walls near the cathedral was Irishtown. Within the walls the city was governed by ten wealthy citizens. 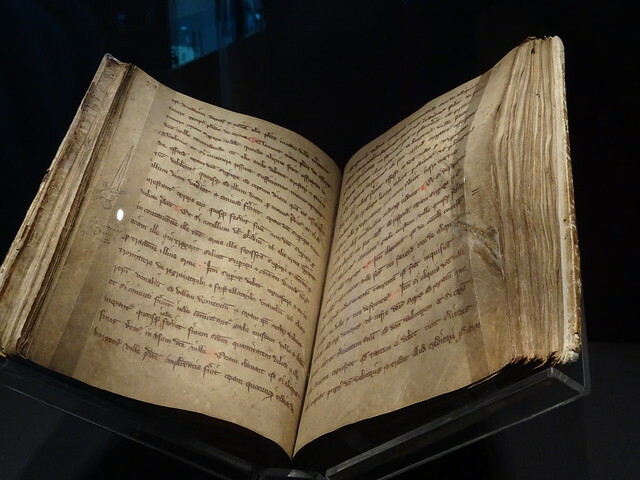 They kept meticulous records of each decision which are found in the Liber Primus Kilkenniensis, found in the new St. Mary's Medieval Mile Museum. Dated entries run between 1223 and 1586. Thus when one merchant died or was supplanted, the next could read up on what had been decided and continue from there. 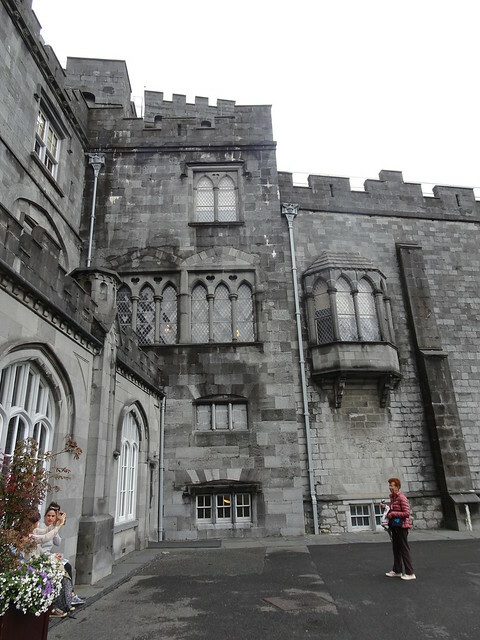 A number of medieval and Renaissance buildings remain in Kilkenny. 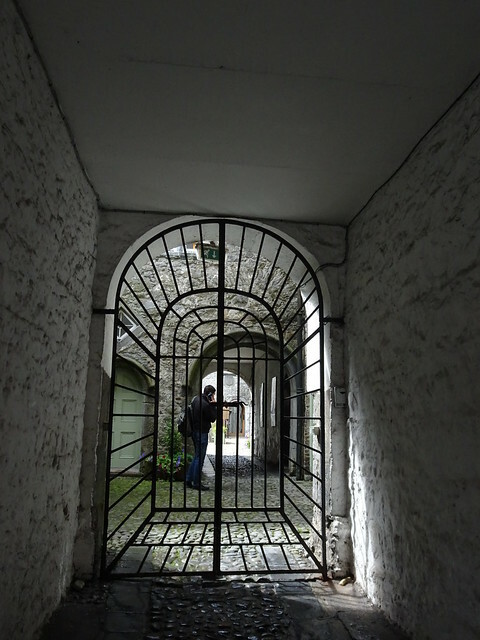 This is the entry to Rothe House, a Tudor era house and garden. 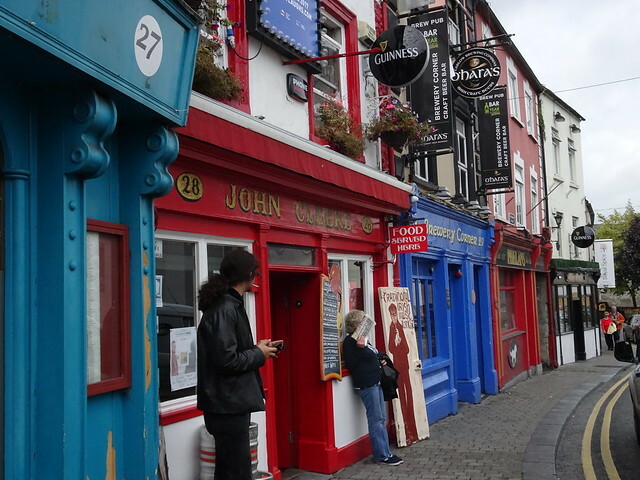 Walking in Kilkenny is a delight. With its stone walls and old buildings, it is very picturesque. Stores sport old signs - not flashy neon. They are colourful both inside and out. 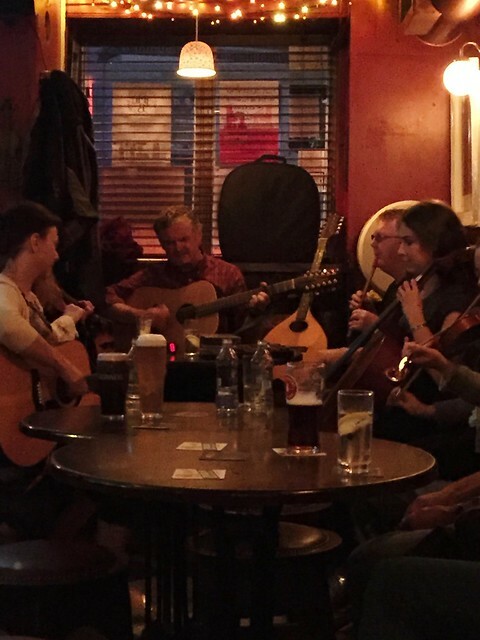 We spent a delightful evening at Cleere's pub where local musicians play traditional music. While there was a leader, the others were whoever shows up. People in the pub are asked if they want to sing and it is obvious a number show up to do just that. One older gentleman sang in Irish - a haunting song about James II. It was quite moving. As we got up to leave we were encouraged to stay. At 11:00 - the night was young. Another man told us we had to wait - he was going to sing - a lovely rendition of Danny boy. It was a magical evening - not a show put on for tourists, but an evening of warmth, of friendship and of music bringing people together. Where there is music, there is Susan! I agree with Barb. Especially I like to see the people playing music in the the last photo.